Sophisiticated or Retail - To Require A PDS Or To Not Require a PDS, That Is The Question? A recent decision by Justice Robson of the Victorian Supreme Court (Re Krypton Nominees Pty Ltd  VSC 446 (handed down 27 August 2013)) has highlighted the difficulty that can be associated with deciding when an investor is considered sophisticated enough not to require a product disclosure statement (PDS). Justice Ross Robson of the Supreme Court of Victoria found in favour of Roy Raphael Tashi, who in 2010 was convinced by mining industry identity Joseph Gutnick to buy $1 million worth of shares in Northern Capital Resources Corporation, a Canadian gold mining company founded by Gutnick. The court found, amongst other things, that Gutnick had breached the disclosure requirements of the Corporations Act for failing to offer a PDS when he arranged the sale of $1 million worth of shares in a company he chaired. Unless investors are deemed sophisticated pursuant to section 708(8)(a) of the Corporations Act, a public issue of securities normally requires a PDS or prospectus to be provided to potential investors to ensure they are fully informed about the nature of the offer and the present position and future prospects of the entity offering the securities. In issue was whether the “sophisticated investor” exemption from providing a PDS in section 708(8)(a) of Corporations Act applied. The issue was whether the phrase “amount payable for the securities on acceptance of the offer” refers to the initial instalment payable immediately upon acceptance of the offer. Because the 1st instalment required to be made on acceptance of the offer was $100,000, the plaintiff submitted that the transaction did not meet the $500,000 threshold and therefore the section 708(8)(a) exception from providing the PDS did not apply. The plaintiff submitted that the apparent purpose of section 708(8) is to limit the “automatic” exemption to those with substantial amounts of “ready money”; those who can only pay $500,000 with the benefit of instalment terms or finance terms from the offeror or their associates must satisfy other requirements (such as an accountant’s certification) before the disclosure requirements can be waived. “In my opinion, the minimum amount payable for the securities on the acceptance of the offer, refers to the amount payable on acceptance of the offer and not sums payable subsequently on the purchase. I do not consider that the balloon payment significant, as that payment was not made “on acceptance of the offer.” … I find that (the defendant) was obliged to provide a disclosure document to (the plaintiff) in relation to the offer to sell the shares and that he breached the disclosure requirements of Part 6D.2 of the Corporations Act. I find that had (the plaintiff) been provided with the appropriate disclosure document, he would not have purchased the … shares.”. One Investment Group welcomes the above clarification. This highlights the importance of ensuring the appropriate expertise is applied when it comes to the offering of securities whether they be shares in a company or units in a trust. One Investment Group is one of Australia’s largest providers of Responsible Entity and Trustee services. One Investment Group is the Responsible Entity/Trustee for in excess of 120 funds of varying asset classes including equities, fixed income, cash, real estate and alternatives.  Members of the One Investment Group are also able to provide Custody, Registry and Fund Administration services, either as a comprehensive package or alternatively on a individual basis. If you have any questions regarding the above or wish to consider appointing One Investment Group as an independent trustee/RE to issue units in a trust and operate a managed investment scheme, then please do not hesitate to contact us.